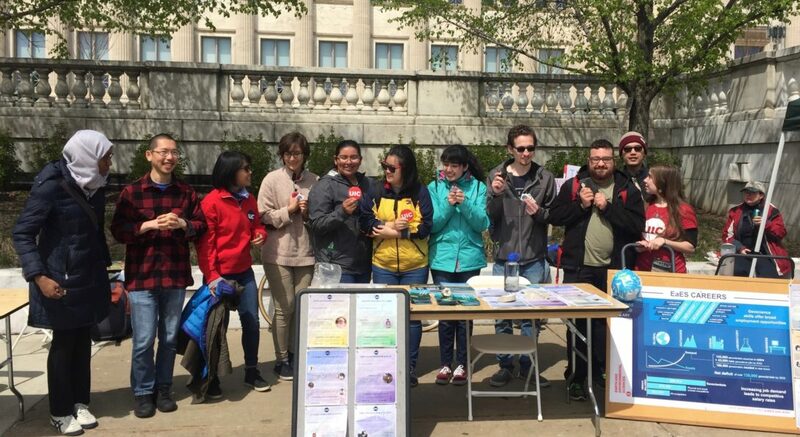 Terra Society is a UIC student organization dedicated to scientific understanding of Earth and the environment. Any UIC student interested in Earth and other planets, Earth systems, climate change, the environment, or resource management is welcome to join. Both graduate and undergraduate students in the Terra Society are actively engaged in research and disseminating knowledge in the fields of geology, paleontology, climatology, planetary science, global change, environmental issues and resource management. Undergraduate and graduate students from outside the scientific disciplines are welcome to join and engage in active discussions on these issues.